The Deveraux Ceiling Lamp by Eichholtz is a classically inspired design made by the highest quality craftsmen, using the finest materials. 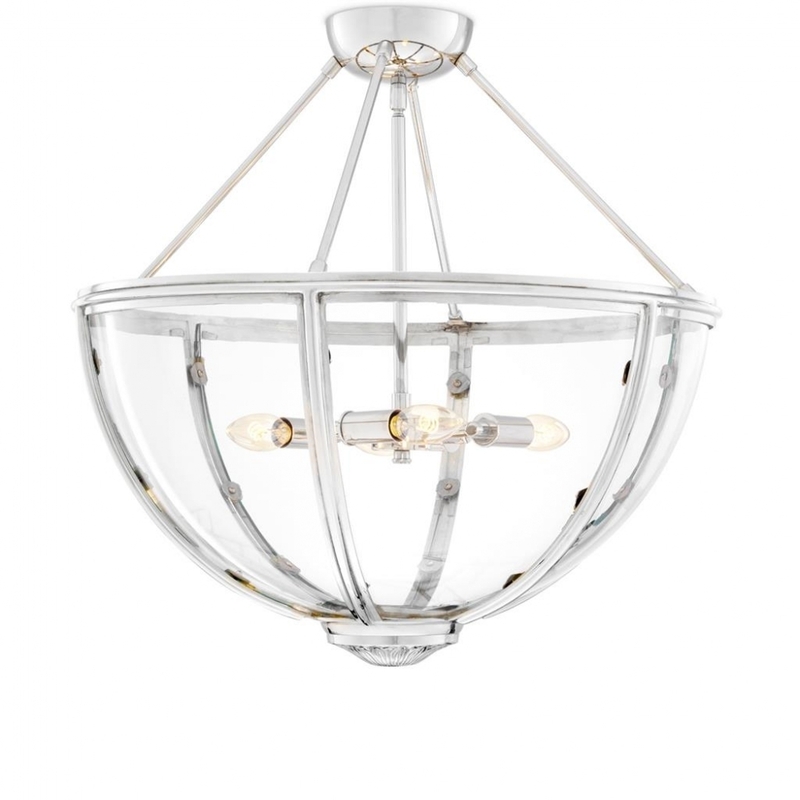 The half globe, lantern styling is available in a choice of Nickel or Antique Brass finishes to complement a range of interior designs. Practical and stylish, the Deveraux Lamp is a timeless accessory which will enhance any number of Traditional, Period, Mid-Century Modern, Industrial or Boho schemes. Add a classic contemporary twist to a Victorian hallway or reverse the psychology and place the Deveraux Lamp in a modern scheme for a more traditional accent. Dutch interior design house, Eichholtz pride themselves on their eclectic collection of beautiful furniture, lighting and accessories carefully selected from around the globe. Here at Uber, we have an extensive directory of Eichholtz luxury homewares and other, similarly high quality interior brands to choose from. Why not contact our expert interior design team for further details and inspiration to help you find the perfect curated collection for your next home, yacht, bar or hotel design project?